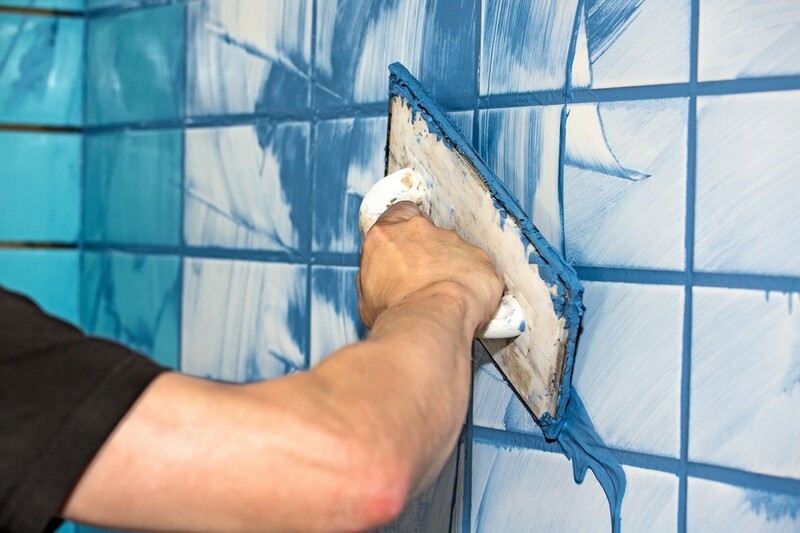 Tile grout comes in a variety of different colors, which makes picking the right one much harder. But the right grout color also depends on the color of the tile. So take a look at this quick guide to learn how to choose grout color for your home. Each grout color draws attention differently when its matched with white tiles (or any tiles for that matter). A lot of these same patterns are true of other tile colors, but for the sake of this article, we’ll use white tiles as our example. Because the tile is also white, this grout will more or less blend in with the rest of the tile. It won’t draw a lot of attention, so if you’d rather have people notice another part of the room first, white grout is a good choice. Grout that matches tile exactly will make small rooms feel larger. The white grout will blend with the white tile, making it feel like one, open space. This type of grout will draw a little more attention to your tiles, but at the same time, it won’t be too loud. Instead of blending in with the tile, it the shape of each tile. So if you have a tile pattern you want to stand out, grey grout is the way to go. Black grout will make your white tiles pop even more, so it draws the most attention of the three. If you want your tiled floor or walls to be the main focal point in the room, black tile will make it stand out. If you want your tile to pop but don’t want to stick with a neutral color, you can choose more colorful grout. Colored grout will also grab people’s attention, much like black grout. It works best when you match the grout color with other color schemes already in the room to create a nice flow. Just make sure its a color you know you’ll love for a long time. If you ever decide you don’t like it, replacing the grout will be a long and complicated task. This process is the same as white tiles, only in reverse. In other words, black grout will blend in with black tiles and keep them out of the central focus. Grey grout will define black tiles a little more, and white grout will make black tiles real attention getters. Colored grout will also make black tiles pop the same way it makes white tiles pop. In this case, the way to keep these tiles in the background is to give them a matching grout color. If you want to define your colored tiles, try experimenting with other, complimentary grout colors. Trying to figure out how to choose grout color comes down to how much you want your tiles to stand out. If you have a unique tile pattern or interestingly shaped tiles, make them a focal point. If you wish for the tiles for your floor to fade into the background, opt for grout that matches your tile color and draw people’s attention to something else. Already have some grout that’s looking a little worse for wear? You probably need grout cleaning services. Take a look at what we provide.